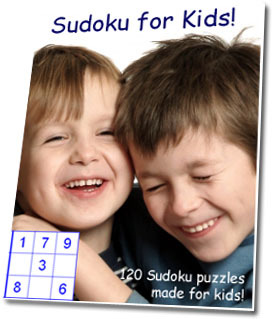 The Daily SuDoku – this is where we source our SuDoku puzzles for kids. If you happen to visit, try their Squiggly sudoku puzzle – so challenging but fun. English-4kids.com – ESL website for kids. Great puzzles to encourage reading. Puzzle-Maker – Make your own crossword puzzle for free. Techozoic 2.1.1 by Jeremy Clark. | 33 mySQL queries in 0.484 seconds.